The Cuisinart CK-5W is a compact kettle made of plastic with stay cool handle. The 700 watts kettle heats water quickly and prevents overheating with auto shut-off feature. 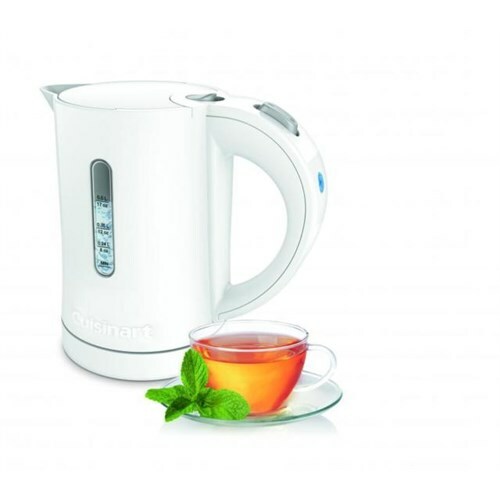 The kettle is designed for user convenience with one-touch operation and easy-open hinged lid. It also shows water level with printed marking on the kettle. 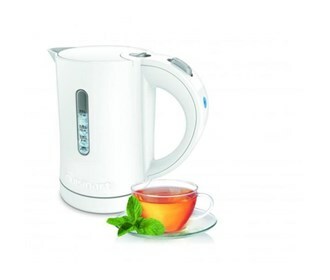 The kettle is BPA free and perfect when brewing for one or two cups. The Cuisinart CK-5W has many exciting features for users of all types. See the Cuisinart CK-5W gallery images above for more product views. The Cuisinart CK-5W is sold as a Brand New Unopened Item.